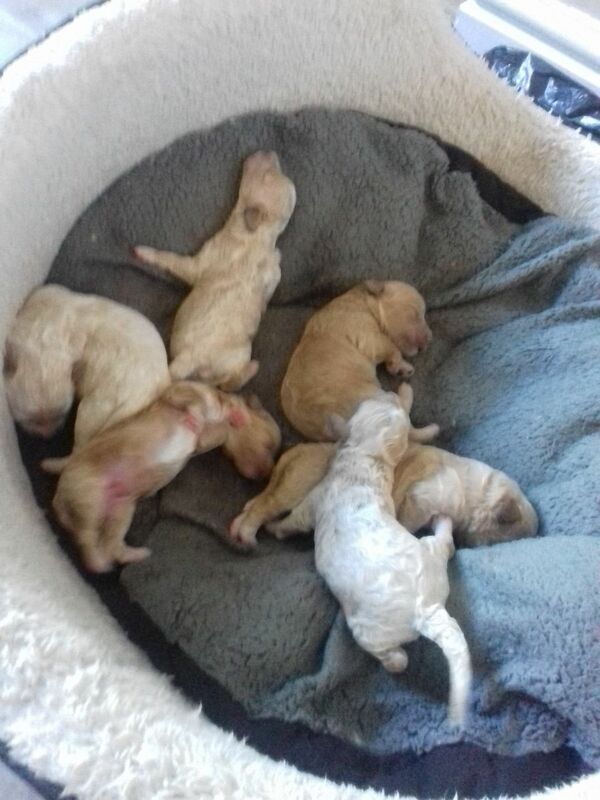 Gorgeous poochon puppies for sale pra clear.born 27/6/2018 will leave 22/8/2018 apricot/cream £695 red puppies teddy bear looking £750 available.. outstanding colours. 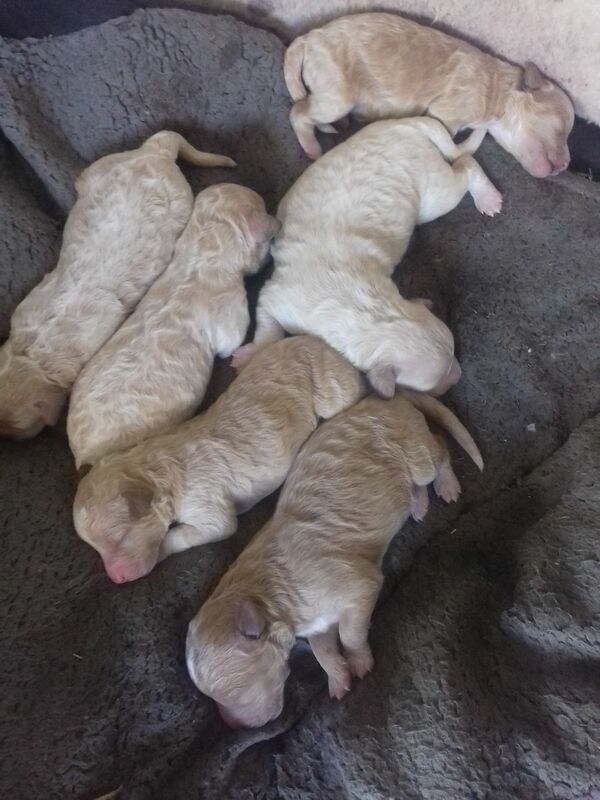 Puppies Will make a loving family pet just like there mother lovely temperament. This breed is known as the most hypoallergenic as they do not molt. bought up in our family home. 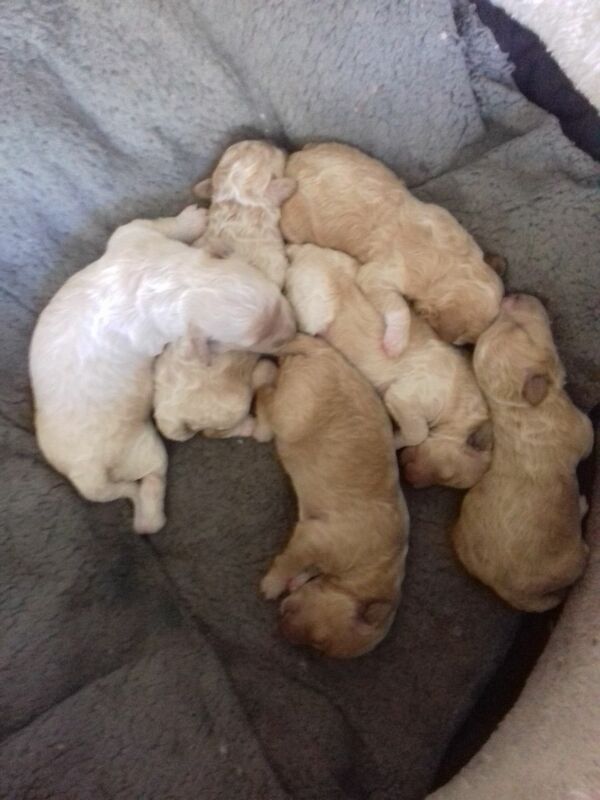 Mum is bichon frise dl dog lovers registered. Dad kc registered red toy poodle stud pra clear. That means puppies will not be born blind. .copy of mum and dads registeration paper. .bowl.toy.dry puppy food.1 training pad. Adopting, or buying a new puppy or dog is an important decision and big responsibility. As an owner, you will solely responsible for the welfare of your new pet and will also be financially committed. Before you decide to buy or adopt you must ensure that you’re 100% committed beforehand. For further information on caring for puppies and dogs, please visit our pet advice section. You can also find out more information about the Poochon breed by visiting the Poochon Dog Breed Information.